A children’s play area, soccer pitch, basketball court and tennis court are available for guests to use. Within 2 minutes’ drive you will find a 24 hour supermarket and a good selection of shops and restaurants. Disney can be reached in about 10 minutes, Universal Studios is about 25 minutes’ drive away and Sea World can be reached in about 20 minutes. 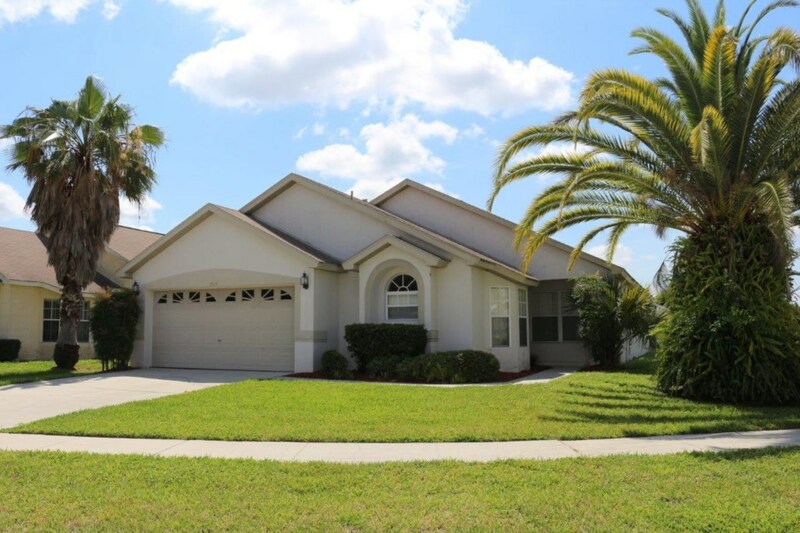 Atlantic coast beaches can be reached in about 45 minutes, gulf coast beaches are about 60 minutes away and Orlando International airport is 25 minutes’ drive. Our villa has 4 bedroom and 3 bathrooms with 2 en-suite bathrooms. The master bedroom has a king size bed and flat screen TV. 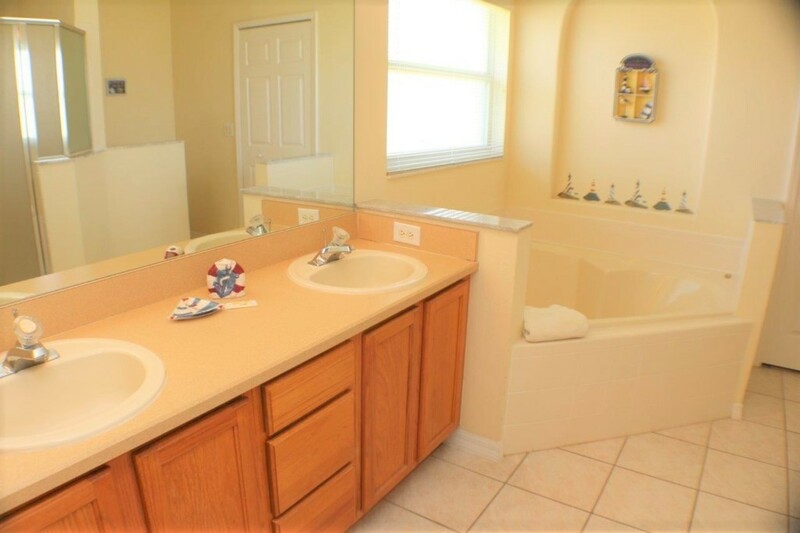 The en-suite bathroom has both bath and separate shower with his and hers sinks. 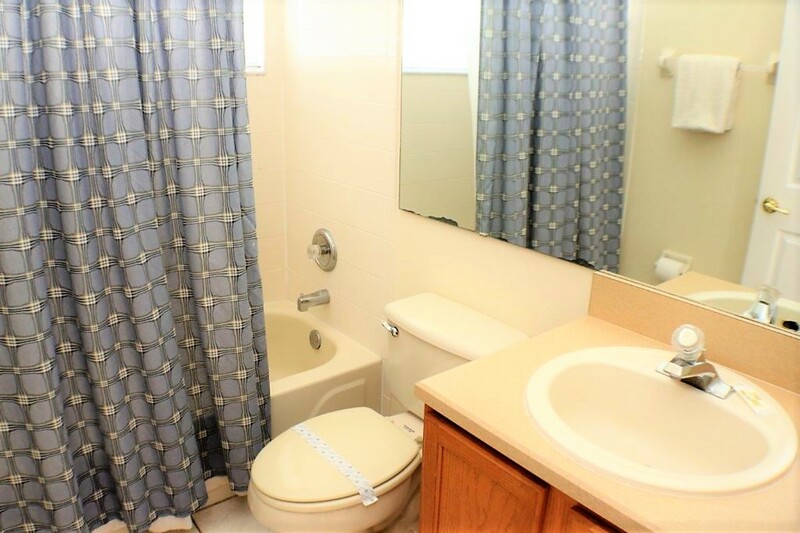 Bedrooms three and four are both twins and share a bathroom which also has a bath and over shower. Both bedrooms have flat screen TV’s. There is also a DVD player and a CD player and a hi fi players also. All linens and towels are included to allow extra room in your suitcase. The house is equipped with a pack’n’play crib and a highchair. 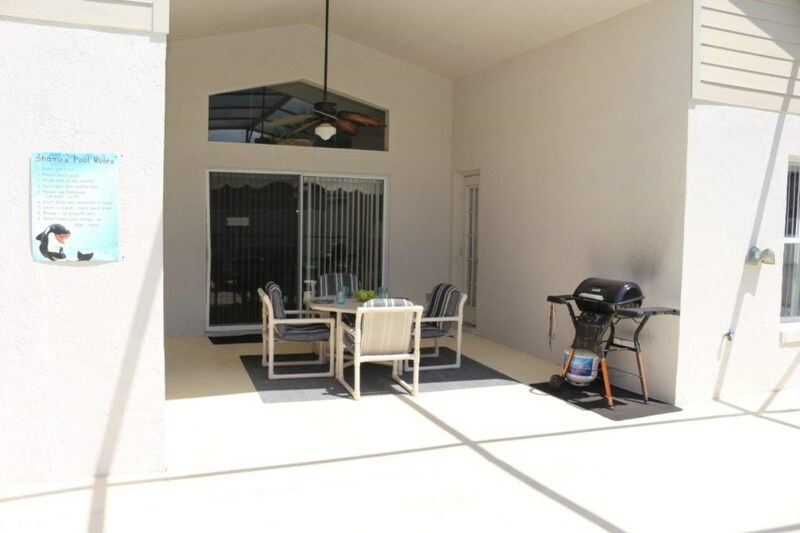 There is a fully equipped kitchen with everything you could need to make your vacation enjoyable. Dishwasher, microwave, stove and hob and fridge freezer. 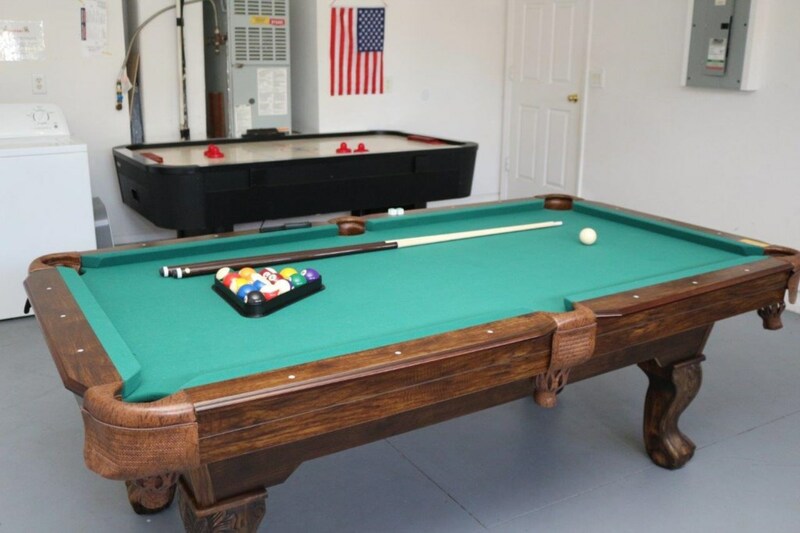 The washer and dryer are kept in the garage and there are no additional electricity or gas charges to pay unless you decide to heat the pool. The villa has a phone and local calls are free but if you need to call out of state or International we suggest a phone card from any of the local stores. There is a dining table in the kitchen area plus a formal dining area also to provide ample seating for any meals you intend to cook whilst you are staying. 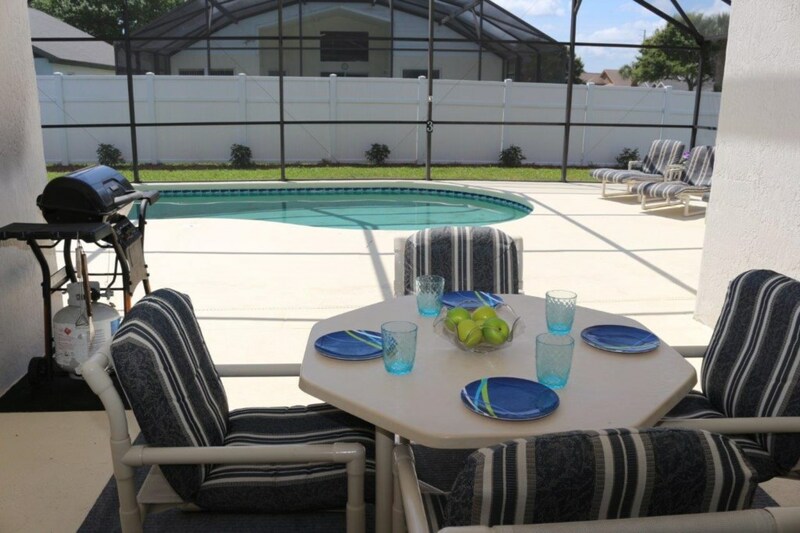 The pool is spacious with a great deck area with a lanai and includes two loungers and a table and 4 chairs. 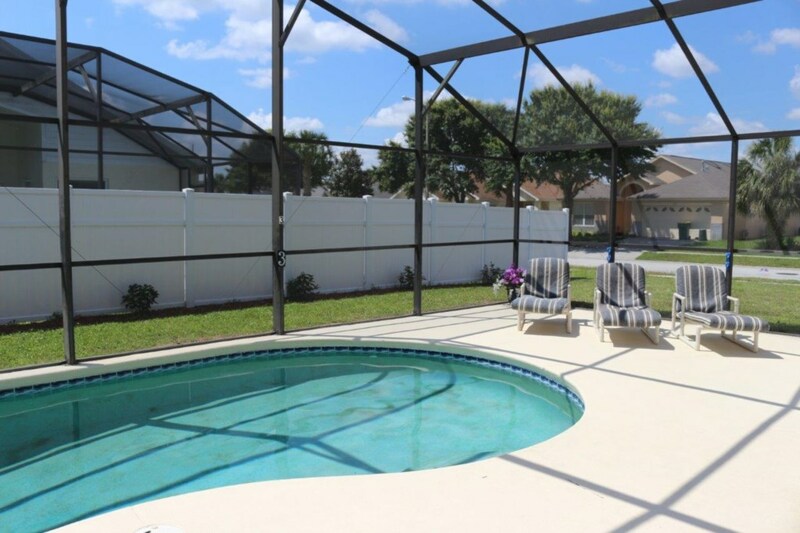 The pool is south facing to give you sun virtually all day and is on a corner plot. 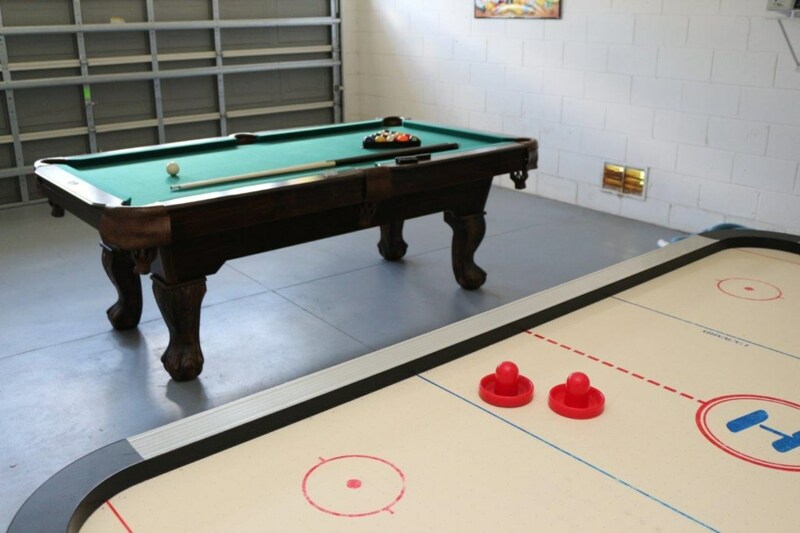 The garage has a pool table and air hockey table and also houses the washer and dryer. The villa has everything you could need to make a perfect vacation but in the event of you needing any assistance during your stay there is a local management company to help with anything. They have both an office number and for any emergencies an out of hours number also. 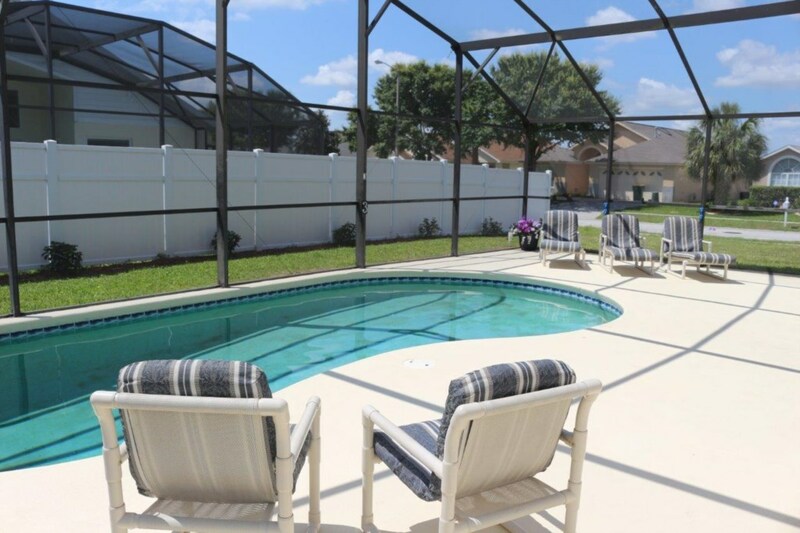 We would love you to stay in our villa and enjoying everything that beautiful Florida has to offer. A perfect place to stay with family, everything was good. 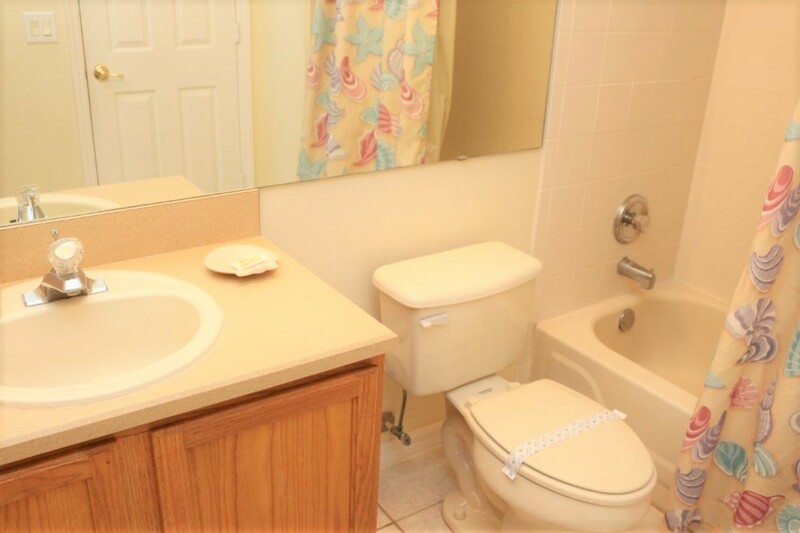 Easy location, quiet, and clean. Thanks so much. I don’t have no doubts to come back. 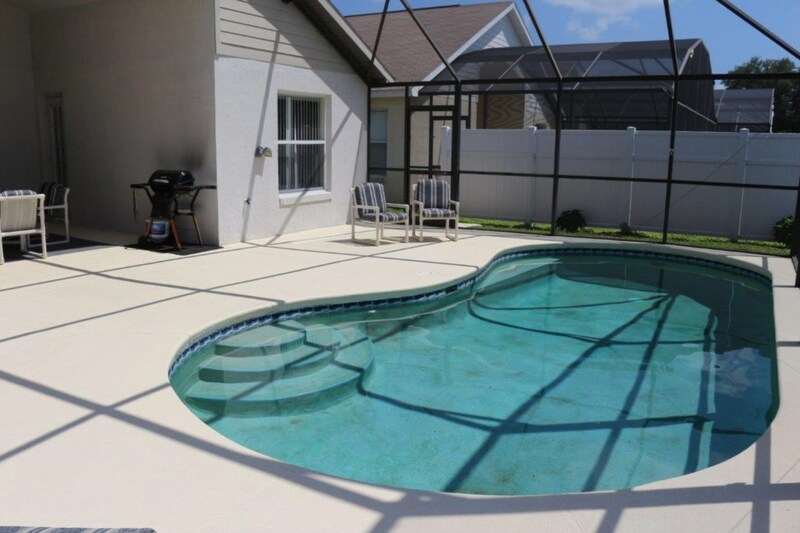 Our vacation rental concluded last week, but I wanted to take a minute to thank you for our wonderful stay. Every concern was immediately addressed, and to find service like that is rare. Your company does a great job at servicing your rental properties and I hope I have the opportunity to rent from you next year. Thanks again.